A bit of an audio-geek blog post this one, but just wanted to shout about my latest and greatest piece of equipment – the Bose L1 compact PA System. I first heard one of these systems in action at a wedding last year. The DJ had two of these set up on the dance floor, and I couldn’t believe the sound quality and power that came out of those tiny speakers! It blew me away and I knew I had to get one in time for the 2017 wedding season. A couple of weeks ago the delivery arrived. 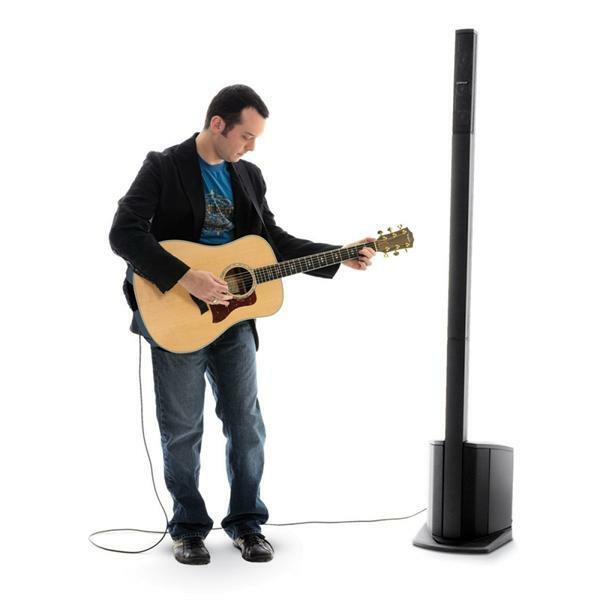 I eagerly set it up and plugged in my guitar and microphone. It’s nothing short of miraculous – the sound quality is astonishing from such a small unit and it’s ludicrously easy to set up. I don’t even need a mixer, although for the most part I’ll probably still use my mixer as it gives more control and flexibility over the sound. The other great thing about this PA is that the speakers are all angled, so that you get full 180 degree coverage from one unit. I can place it in the middle of a room and it happily fills the space with glorious, pristine quality sound. 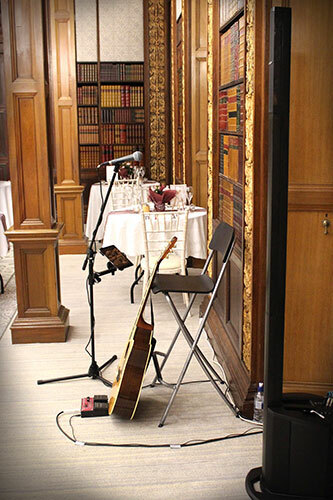 What this means for weddings is that I have a fantastically portable set-up for ceremonies and drinks receptions – and it’s even loud enough for the evening if required. It’s so much neater and will look much better in wedding venues – it means that I can get rid of 4 or 5 separate wires that I would usually have to plug in. This is going to give a much better appearance and take up less space – something which can be an issue in wedding venues. I played my first gig with it at Clevedon Hall for their Valentines Day event and I’m already wondering how I lived without it! An absolutely brilliant piece of kit which will add another level of slickness and professionalism to my performances – very excited to take this along to weddings in 2017! This entry was posted in News, Wedding Guitarist Blog and tagged audio, bose, ceremony, compact, drinks reception, equipment, gear, l1, live sound, pa system, review, sound, wedding, weddings by Pat McIntyre. Bookmark the permalink.